I have a special guest contribution from Bellhop's Moving Services for you. 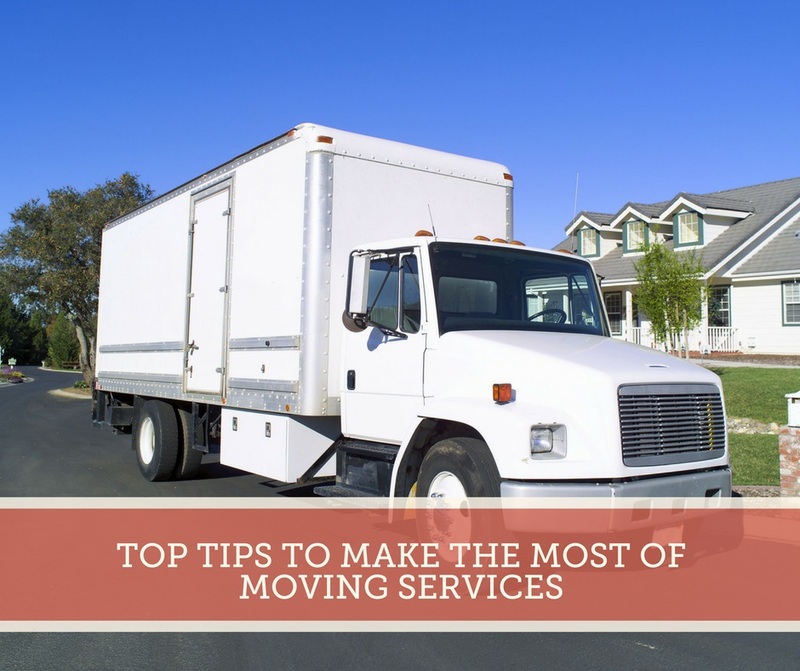 These moving experts have some great tips to share. Enjoy and happy moving day! Deciding to move into a new home can be an exciting change in your life, but it's fair to say that there's a lot of stress involved with a move too. Once you've found the perfect home for you in the Philadelphia metro, you need to start thinking about how you can get all your belongings safely transported into your new property. That's where a professional moving company comes in handy. Professional movers are a huge help when you're moving to a new property because they do most of the heavy lifting on your behalf. You can even pay some companies to unpack your things for you. However, as with most things in life, the key to a successful experience with your moving company is good preparation. Here we're going to give you Bellhops Moving's top tips to a successful experience with professional movers. Unfortunately, although your professional movers can help with a lot of things, there are specific items that they won't be able to transport on your behalf. Check with your team in advance for a list of items that they won't move for safety reasons. For instance, your movers might prefer that you transport your pets, money, and chemicals yourself. Just as you would discuss the abilities of your interior designer with that professional before you get started, it's best to know in advance what your mover can do. If you're designing your entire home from scratch, then you won't need to do much packing. On the other hand, if you need to take a selection of items with you, it's important to have a packing plan in place to make sure that you get your items safely to your destination with as little stress as possible. If you need help with a packing plan check out Right at Home and Beautiful Services with Susan Rains Design. Make sure that you have plenty of bubble wrap or newspaper for padding. This is crucial, as moving companies won't always be held liable for things that break during moving. Once everything is packed, try to sort the boxes according to their weight to make sure that loading is as easy as possible for your movers. Additionally, don't pile things onto the furniture you want your movers to take into the van first. When you're working with movers, one of the best things you can do is ensure that they have easy access to your home and the items that you want them to move. Keep clutter out of the way to allow the moving professionals to move freely through your home. Also make sure you know the rules around parking in front of your current house, and your new one. Empty drawers, desks and other containers while you're preparing for the move too. Doing so will help to make the items lighter, easier to move, and less prone to damage because of shifting content. Finally, remember that you don't necessarily have to choose the first moving company you find. Just as you would examine the home for signs of a stable roof, and a strong foundation, make sure that you consider your moving needs and the background of the mover too. Look for reviews, testimonials, and anything else that will make you feel confident that you're working with the right team.